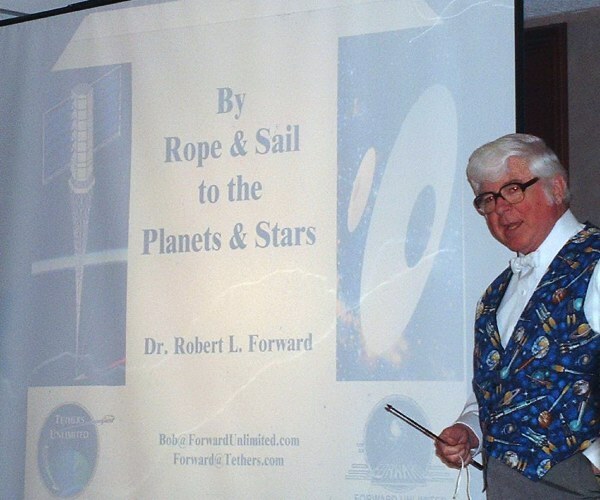 Robert L. Forward presented a double-length lecture on ways to travel into space without using the obsolete rockets pictured on his vest. 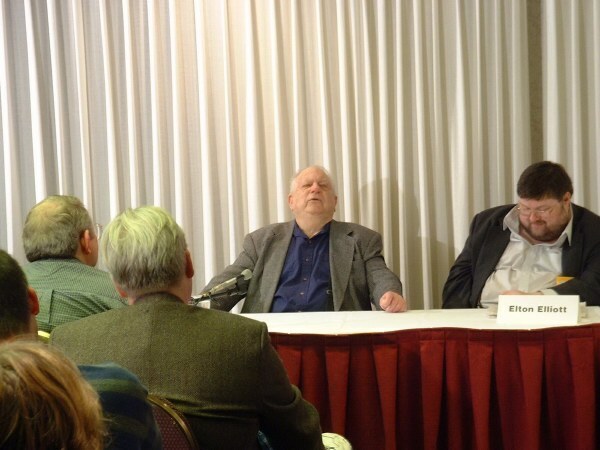 Further information is available at the Web site of his research company, Tethers Unlimited Inc.
Elton Elliott interviews Writer GoH Jack Vance, who talked about houseboats, Poul Anderson, trips around the world, and why the Navy sent him back to California from Pearl Harbor just before December 7, 1941. Costuming was a Norwescon strong point this year, with extensive panels and plenty of eye-catching Masquerade entries and hall costumes. 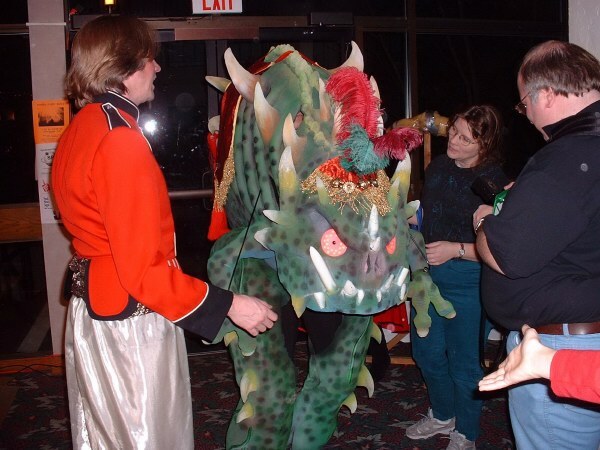 Here is a Chinese dragon with its trainer. 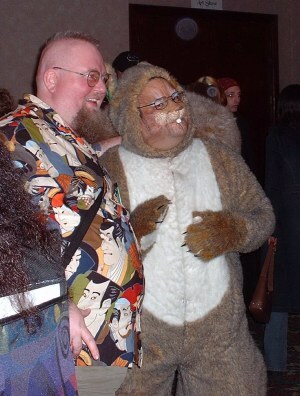 A furry fellow finds a friend. 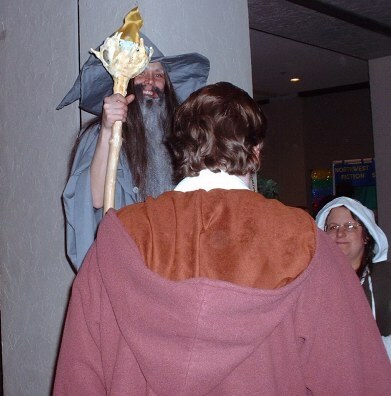 An eight-foot tall, but surprisingly youthful, Gandalf towers over the crowd. 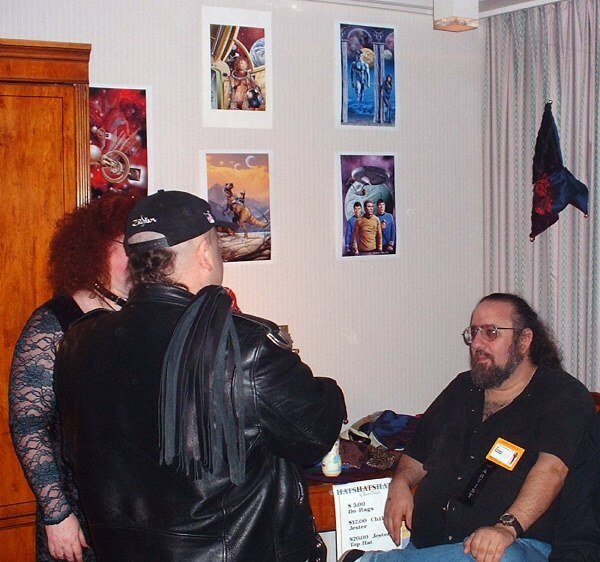 Computer graphics wizard Steve Adams displays and chats about his artwork at Dragon Lady's Bar & Grill. 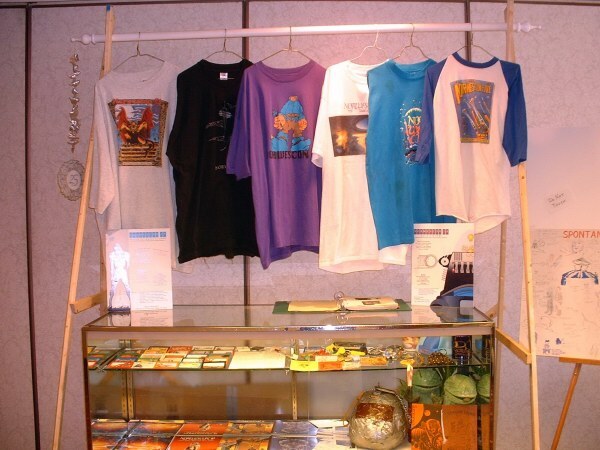 The Fanzine Lounge featured this display of Norwescon memorabilia.